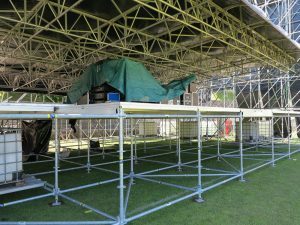 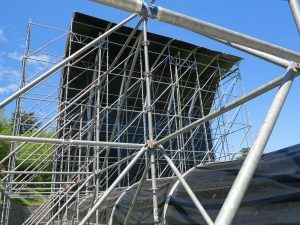 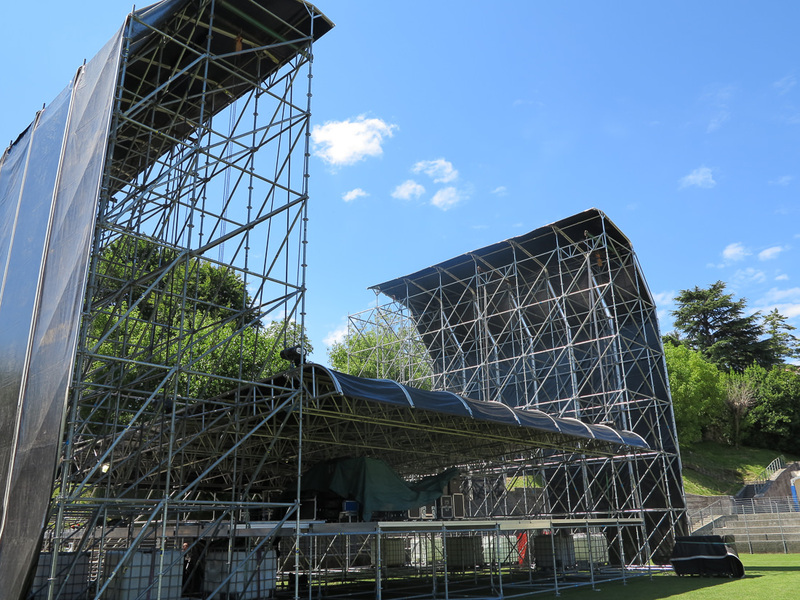 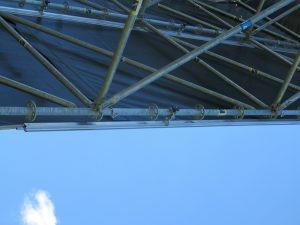 ‪Pilosio stage with temporary roofing, two access stairs 2,5 x 2,5m‬ and one direction towers for the Festival “Aria di Festa” in San Daniele. 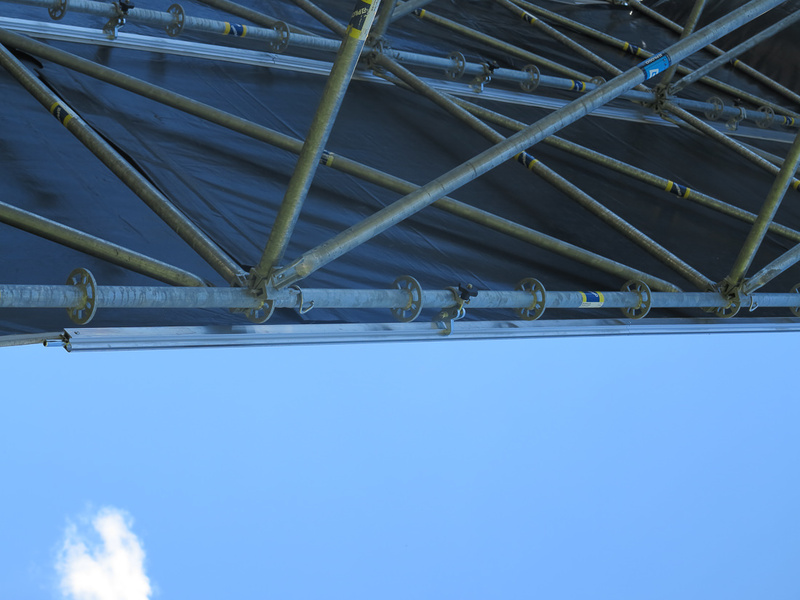 All these systems are manufactured with MP multidirectional scaffolding modules. 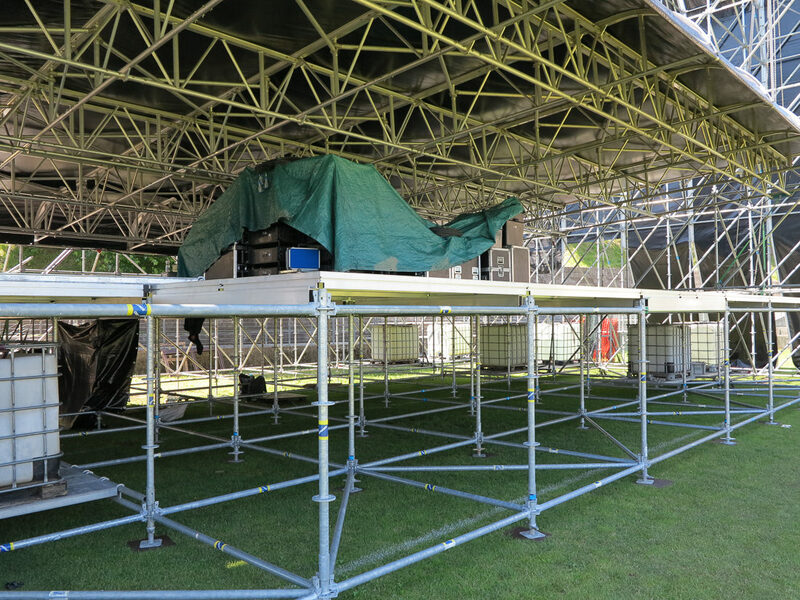 Stage dimension: 22,5 x 14,5 m x 12h.